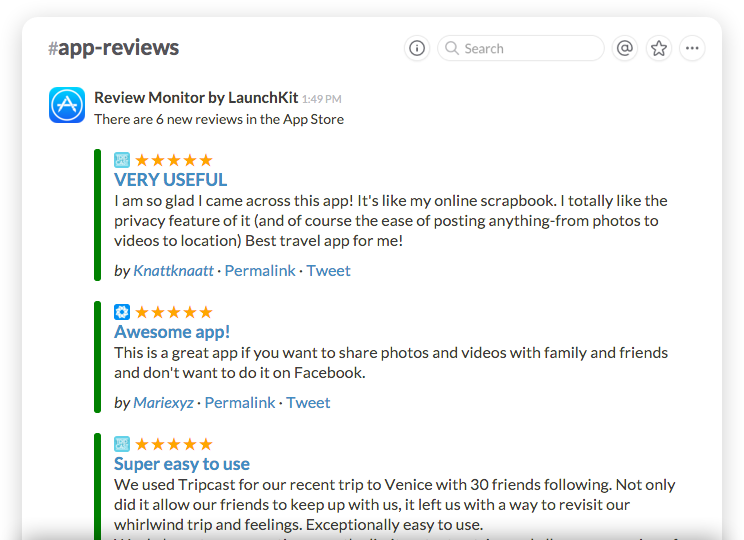 AppToolkit's Review Monitor is a free service that checks the App Store for new reviews and posts them to your Slack channel or sends them to your email. 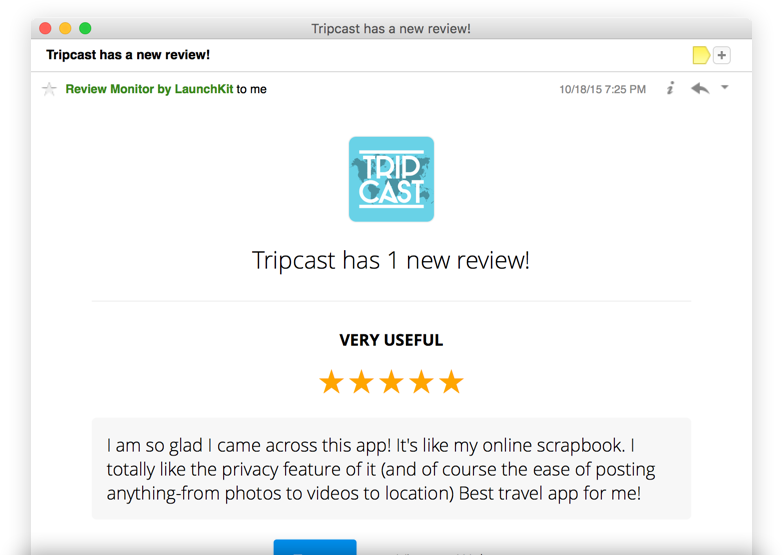 Keep your team on track with new reviews posted into Slack. You can even filter the bad ones out to keep morale up! 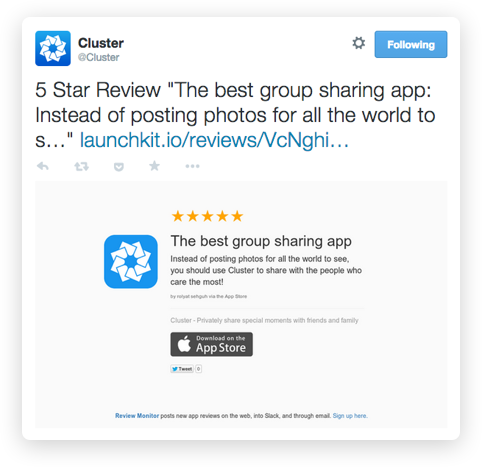 Stop visiting the App Store to track reviews. Get alerted to all review activity by email! Review Monitor can now seamlessly connect to your app’s Twitter account and post a tweet every time you get a great review. Every app gets a few bad reviews. Don't take it personally. But take care of it personally by using our dashboard to easily forward the review to support or find the author online. 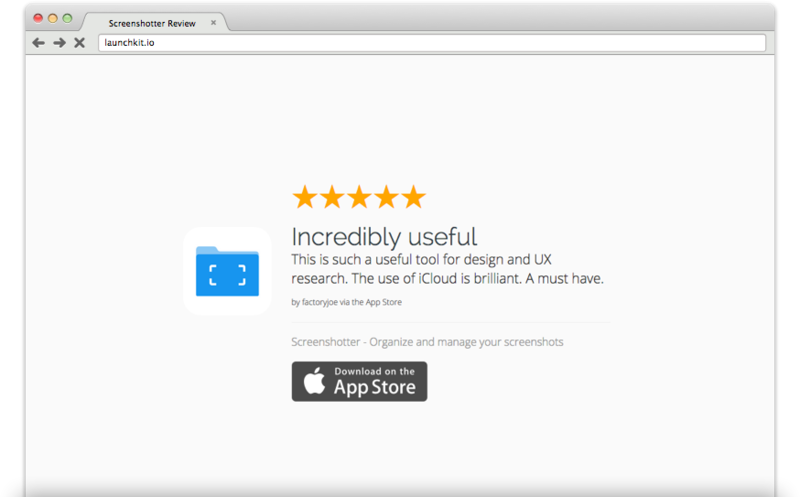 Every review has an easily shareable page so you can share your best (and funniest) reviews!